Keeping students, parents, and their teachers informed about their roles and school academic activities are most challenging task for any school management. 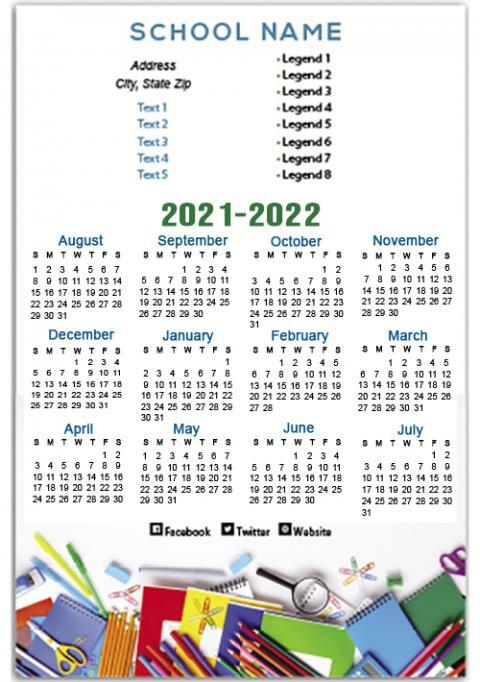 This time they can easily do it through these custom 4x6 inch school academic year calendar square corner magnets – 20 MIL. These magnets offer large working space and are retained by everyone as a source of pride and token of admiration. Well-suited for all types of schools, these magnets are sure to make larger impact on minds that see it. 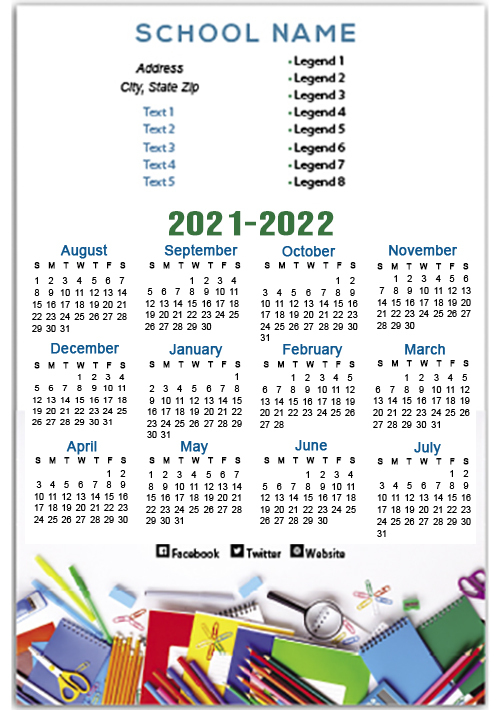 Request a quote to know wholesale price benefits that you can avail on ordering these promotional 4x6 inch school academic year calendar square corner magnets – 20 MIL.